Vitiligo is a chronic skin condition, which is characterized by the appearance of white patches on different areas of the skin. This is actually a loss of pigment, the patches having defined margins. The condition extends to the mucosa and it can affect any part of the body, including the hair. In trying to identify the factors that are responsible for the appearance of this condition, researchers have identified a connection between vitamin D levels and vitiligo. According to a clinical article published in Acta Dermatovenerologica Croatica, patients who suffer from vitiligo vulgaris also present low levels of vitamin D. The clinical article referred to a study that aimed to investigate the serum levels of vitamin D in vitiligo patients, in order to identify a causal relationship between the two. The study confirmed that the majority of the patients presented either insufficient or low levels of vitamin D; however, the authors of the study drew attention to the fact that more research is necessary to confirm this causal relationship. It may be that the low levels of vitamin D are rather part of the vitiligo pathogenesis rather than a direct cause. Study showing that persons with vitiligo (dark grey) are much more often deficient or insufficient in Vitamin D compared to persons without vitiligo – controls (light grey). Only 33% of people with vitiligo have normal vitamin D levels. It is also important to keep in mind that the prevalence of vitamin D deficiency is higher in people with darker skins compared with those of lighter skin – in a study among US women (without vitiligo), it was found that whereas 31% of white-colored women were vitamin D deficient, 78% of black-skinned women were vitamin D deficient. Therefore, if you have dark skin AND have vitiligo, you are almost certainly vitamin D deficient. Dr. Joseph Georghy, a cosmetic surgeon from Sydney, has promoted the idea that vitamin D deficiency can influence the severity of vitiligo. His research was presented in an article published online, on Cosbeauty.com. The surgeon has tested the levels of vitamin D in his patients, arriving to the conclusion that vitamin D deficiency could be one of the main causes that leads to the appearance of vitiligo. 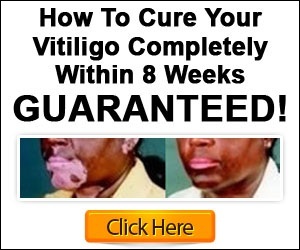 The more severe the vitamin D deficiency is, the more severe the manifestations of vitiligo are going to be. The surgeon highlighted the fact that there are also aggravating factors to be taken into consideration, such as genetics and chronic stress. Effects of vitamin D on the pigment-producing cells of the skin (melanocytes). The roles of vitamin D include protection of these cells against further damage, upregulation of their function (re-pigmenting effect), and protection against skin tumors. Not all studies have identified a significant causal relationship between vitamin D levels and vitiligo manifestation, which suggests that more research is necessary. However, according to a study published in the Journal of Cutaneous Medicine and Surgery, it seems that there are certain vitiligo subgroups which present a higher risk for vitamin D deficiency. These subgroups can include people of a younger age, those who belong to the male gender or those who have presented shorter durations for the condition. Those who have not used phototherapy as a form of treatment are part of these subgroups as well. Establishing a connection between vitamin D levels and vitiligo manifestations is essential, so that new therapeutic approaches can be developed. If low vitamin D levels are indeed confirmed to be a causative factor for the disease, then by addressing the vitamin D deficiency, it would be possible to improve the clinical manifestations of vitiligo. Until further research is conducted, it would be wise for vitiligo patients to have their vitamin D levels checked through a blood test. If a deficiency is found, supplementation should be initiated. In addition, supplemental vitamin D may be warranted to prevent the condition in susceptible family members of vitiligo patients, as recommended by Dr. K. AlGhamdi, vitiligo researcher at Saudi Arabia’s King Saud University. Just as important as vitamin D is taking vitamin K2! Taking Vitamin D without vitamin K could actually be harmful to your health. A number of cheaper brands of Vitamin D on the market are not absorbable to significant levels. When vitamin D cannot be absorbed, your body is unable to assimilate and you will not get the benefits. There are a number of good brands out there and your pharmacist or doctor will be able to recommend a suitable one. 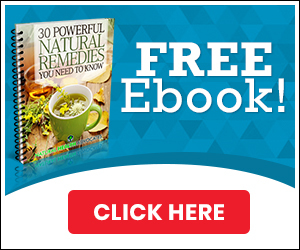 Personally I am using PuraTHRIVE Vitamin D3 + Vitamin K2 as it ticks all the boxes – it contains vitamin D at the best absorbable form (liposomal D3), is combined with vitamin K2 at the optimal ratio, and is produced in an FDA-Registered Facility. Both me and my family have been using 8 pumps of this daily for over a year and our blood vitamin D levels always come up at the optimal level.